Mumbai: While Kolkata police was busy ‘battling’ the Central Bureau of Investigation earlier this week and West Bengal Chief Minister Mamata Banerjee sat on a dharna along with some of the top cops to ‘save’ police commissioner Rajiv Kumar from being arrested in connection with the Sarada chit fund scam, netizens started having a ball and flooded the internet with hilarious memes. 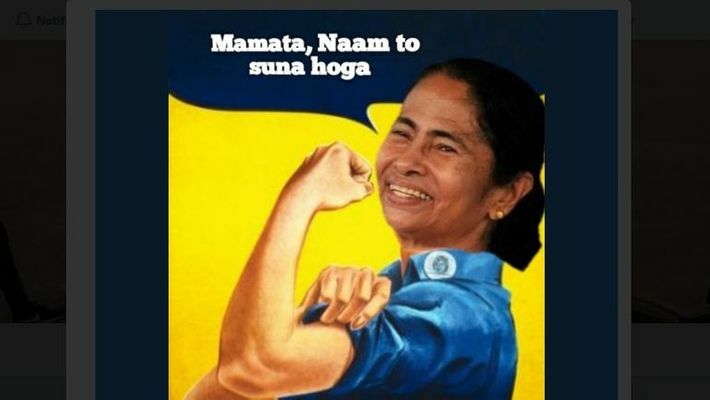 Amid the ongoing political drama where Mamata Banerjee has declared to fight Modi government's atrocities, funny memes, sarcastic poems, cartoons and trolls are going viral on social media. For the uninitiated, Jadavpur University Professor Ambikesh Mahapatra was arrested in 2012 for allegedly sharing a cartoon ridiculing the CM. Six years later, social media is flooding with cartoons, memes and trolls which are expected to make the chief minister uncomfortable. In the present scenario, how many can the government take action against? "CBI officers return home from Kolkata "
Wife: kaha rah gaye thayy?